Next up for me is this two-track release from Cleveland, Ohio death metal band Grave Plague. Essentially a demo, it was released on tape by Caco-Daemon Records (which is now sold out) and on vinyl/digitally by Give Praise Records and Redefining Darkness Records earlier this year. Grave Plague formed in 2015 and this is their first release. I apologise for being a little behind, but with USDM currently bursting at the seams I've been struggling to keep up. With bands like Napalm Christ and Gatecreeper reaching wider audiences, it was only matter of time before they dragged others up with them. 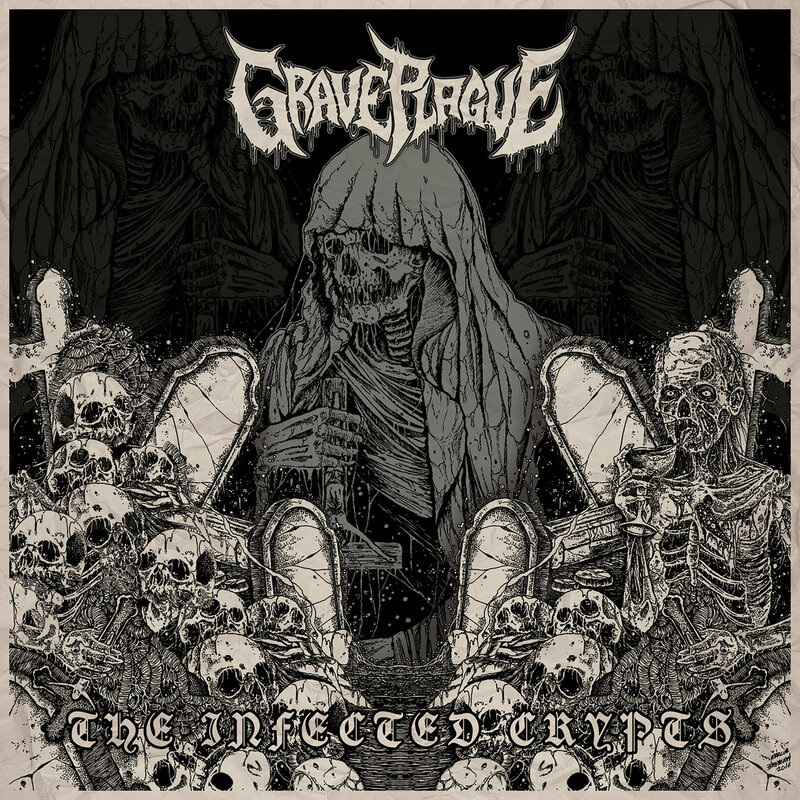 Grave Plague are a new band dedicated to old-school death metal and “The Infected Crypts” is their rallying cry. Arise The Infected is as heavy and as dirty as you’d expect, with wickedly fast drumming, low growls, wall-to-wall guitars and nasty atmosphere. Halls Of The Rotten is equally as bloodthirsty, save for the odd doom/death inspired riffs. Basically Grave Plague are trying to cause death by ultimate volume, as the sound and production that adorns “The infected Crypts” is massive. They do so though with precision and subtle technicality that makes them more than just another death metal band. Excuse the pun but this is infectious, which bodes well for their incoming album. It's available digitally from Give Praise Records. Xibalba - Diablo, Con Amor... Adios 7"
Ill Neglect/Lambs - Trisma Split 7"
Sleep - The Clarity 12"